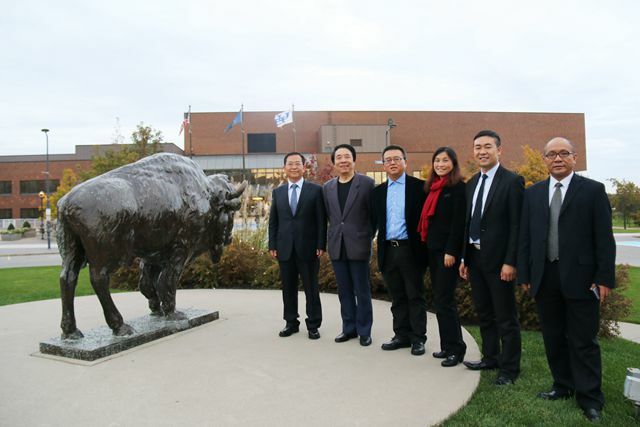 Guizhou Minzu University and University at Buffalo, the State University of New York had held a free talk on academic exchange and cooperation at University at Buffalo, the State University of New York. The free talk was hosted by tenured professor Hong Junhao, from Communication Department in School of Arts and Sciences of University at Buffalo, the State University of New York. 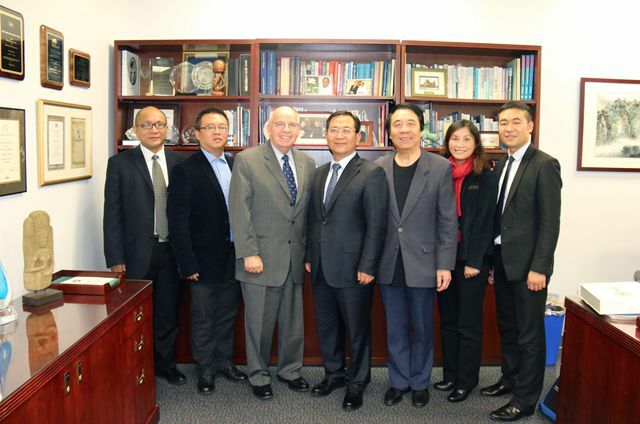 During the meeting, president Zhang Xueli (Guizhou Minzu University) had emphasized that, our university is one of the first minorities-oriented universities in China. As a comprehensive university with distinctive minority features, our school has made great contribution to improve the social economic development and the unity of minority areas. 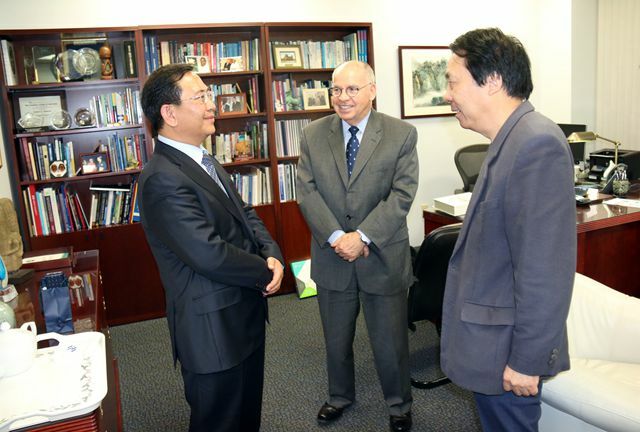 President Zhang sincerely hoped that, the two universities could promote understanding and exchange between each other.